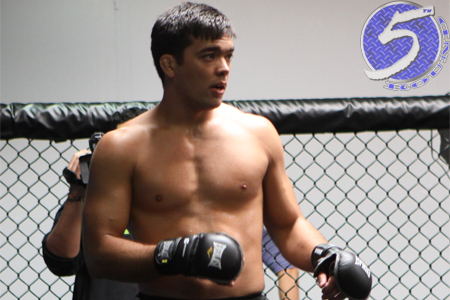 It was reported on this week’s edition of “UFC Tonight” that UFC president Dana White is very interested in having a middleweight shootout between Lyoto Machida (pictured) and Vitor Belfort co-headline UFC 167. Machida has been reluctant to drop to middleweight, but the former light heavyweight champion may soften his stance now that he lost his top contender moniker following this month’s highly controversial decision defeat to Phil Davis and buddy Anderson Silva no longer sits atop the 185-pound throne. Belfort, meanwhile, has professed he doesn’t want to fight at middleweight unless it’s against champ Chris Weidman or in a rematch with Silva. White appears to like the Belfort-Machida matchup so much that he’d be willing to have them meet at middleweight or light heavyweight. Machida was promised a shot at Jon Jones’ title on two separate occasions prior to losing to Davis, though was eventually leapfrogged for various reasons. At 35 years of age and no light heavyweight championship affair in sight, a change of scenery might serve “The Dragon” well. Belfort has rallied quite nicely since the February 2011 setback to Silva by winning four of his next five, with his last two victories coming in (T)KO fashion. UFC 167 takes place inside MGM Grand Garden Arena in Las Vegas. One of the primary issues about having the Brazilians battle there is that Belfort will have a tough time getting approved for a therapeutic-use exemption for testosterone replacement therapy from the Nevada State Athletic Commission given the fact he flunked a drug exam there in 2006 for elevated levels of testosterone. Belfort has been on TRT for his last three fights, all of which took place outside of America. Welterweight king Georges St-Pierre will defend his crown against Johny Hendricks in UFC 167’s featured attraction. No other bouts have been reported for the November 16 lineup.